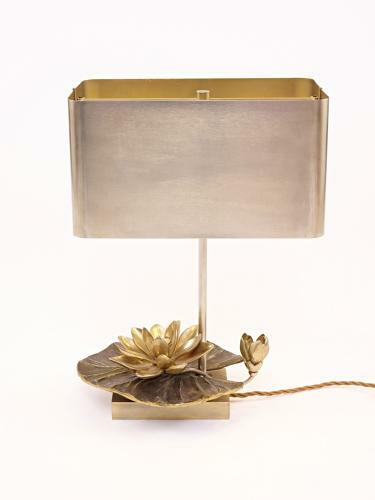 Gilt bronze and nickel plated lily lamp by Maison Charles, Paris. Patinated bronze lily leaf supporting 2 lily flowers in gilt bronze. Steel rod and shade with an antique gold interior. Certified and rewired and holds two bulbs.